Glossop SK13 Gardeners and Tree Surgery | YGM Cleaning Company Ltd.
Just began this year’s spring cleaning, and you really feel absolutely exhausted already? Well, we hate to remind you, but spring cleaning could include not only deep cleaning your residence, but cleaning up your outdoor area as well. Do not worry! 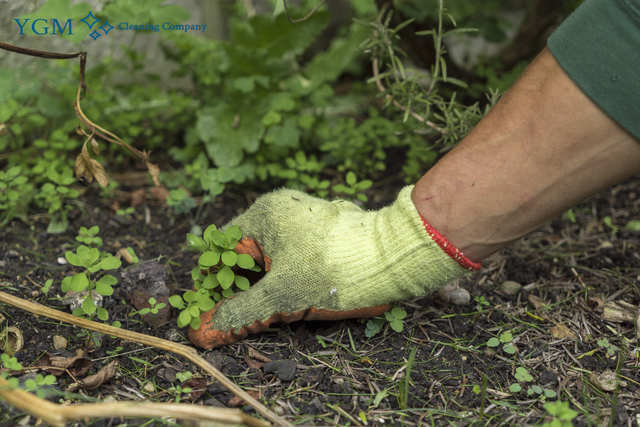 The professional gardeners in Glossop from YGM Cleaning Company Ltd. can quickly, efficiently and professionally take care of the garden clearance, garden waste removal, as well as offer jet washing for patios or driveway, at a surprisingly reasonable price. The professional gardeners can take care of your overgrown lawn, flowers, plants, your trees, and your entire patio space arrangement and maintenance. All you require to do is call the 24/7 client care telephone number 0161 823 0323 or fill out the online form, in order to get more price information, as well as all the details about special discounts accessible for booking combined gardening services in Glossop, as well as beneficial conditions for regular customers. Ever since it was established, back in 2005, YGM Cleaning Company Ltd. has set its mission to provide the highest quality, most reliable, efficient and professional gardening services in Glossop to private residents and companies and the area. Via the years, the company has been supplying all the required training, gardening tools and products, and all needed sources to ensure that its customers receive the best gardening services in the place, at the most reasonable garden cleaning price. The company gives high quality lawn care and lawn mowing to its clients in the region. The experienced gardeners will examine your lawn and will give you their professional opinion of what exactly must be done, as a way to enhance its health and appearance. The mowing and maintenance is performed with the most up-to-date mowers, lawn aerators, trimmers, weed killing gardening tools, rakes and many others. Apart from shaping and mowing your lawn perfectly, the professional gardeners can fix any yellow or otherwise damaged patches. The professional lawn care services offered involve: grass trimming, mowing, lawn edging, lawn aeration, autumn and spring lawn care, scarification and feeding for healthier plants. The company offers high quality and professional garden landscaping services in Glossop at affordable prices. You can book a non-obligation on site visit by the professional gardeners, who will provide you help and advice and ideas about what can be carried out about bettering the design and style of your garden, improve plants and grass, the health of the trees, etc. When you discuss your requests and recommendations, the gardeners will be able to prepare a gardening services price and time estimation for the job. Simply book your non-obligation visit by the professional gardeners at this time, or book your desired gardening service immediately! YGM Cleaning Company Ltd. offers commercial and domestic gardening services in Glossop, including: lawn maintenance and mowing, ivy and weed removal, tree surgery, leaf and other green waste clearance and removal, overall cleaning up, garden design, planting, landscaping, maintenance and advice for proper care and maintenance of the flora and the backyard areas. Gardening can be a regular or one time service. You may request an onsite check out if you are not exactly sure what type of gardening services you need, or how many hrs of the gardening services in Glossop SK13 you need to book. Use the internet web form here, or call the 24/7 phone number 0161 823 0323 to contact the client care service for professional gardeners these days! Order a mixture of gardening or outside maintenance services and you will get a mighty discount. If you become a regular customer, you will be given preferential price ranges! Contact now, book now and prepare yourself to get the garden of your dreams! Other services we offer in Glossop SK13 Oven Cleaning Glossop, Carpet Cleaning Glossop, Upholstery Cleaning Glossop.